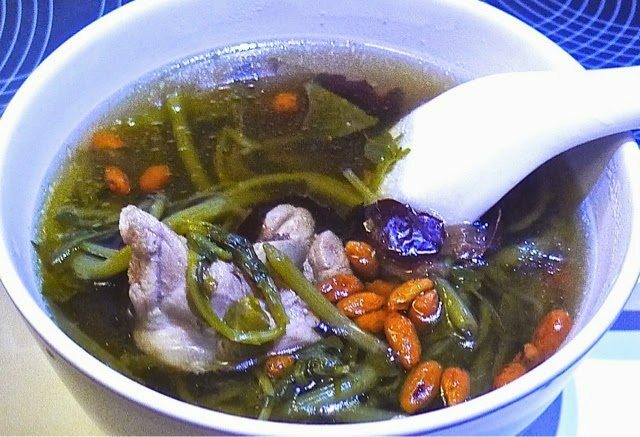 Watercress soup is a very nourishing soup that is easy to cook. 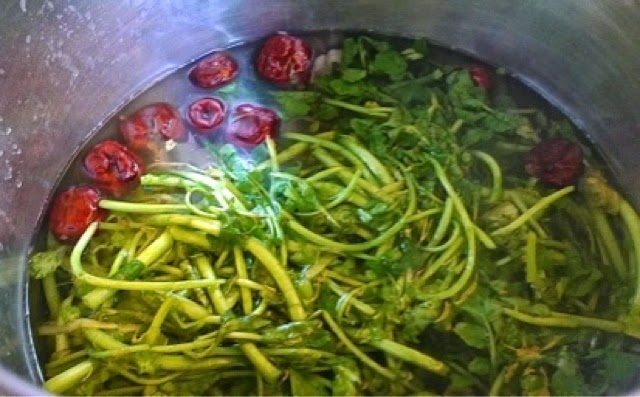 Watercress soup is believed to have a ‘cooling’ effect on the body. 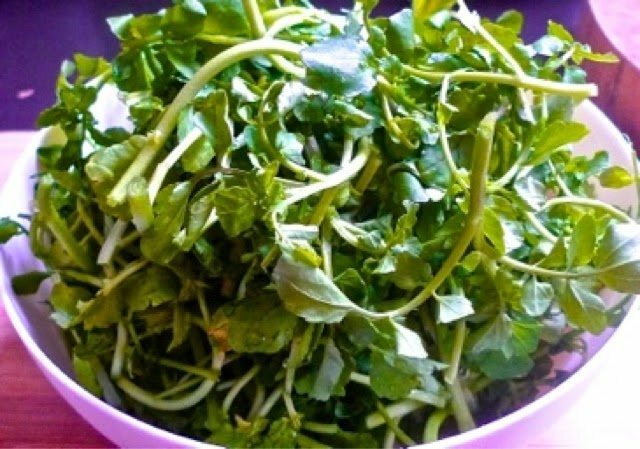 Watercress is packed with anti-oxidants and vitamins. 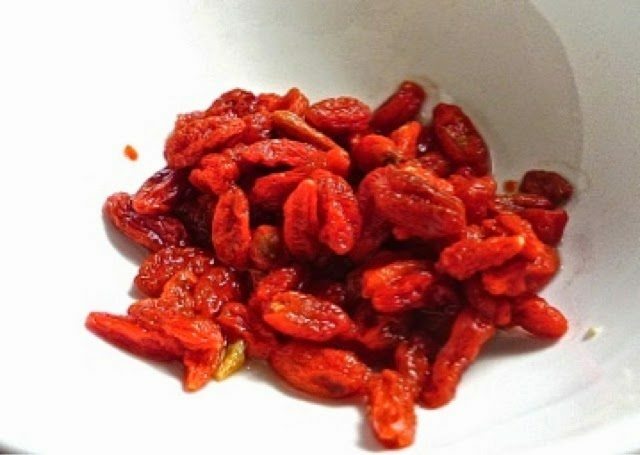 Also, it is said to have detoxifying and cancer-preventing properties as well. Because watercress is quite strong in fragrant and flavour, I have decided to cook it with chicken. However, it can be cooked with pork ribs too. 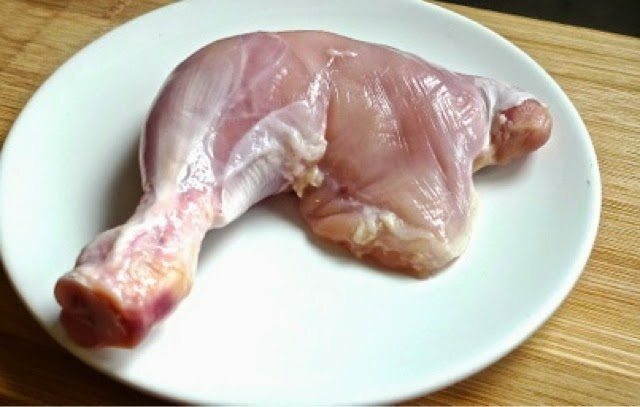 Blanch the chicken pieces in boiling water for a few minutes. This is to ensure a clear soup. 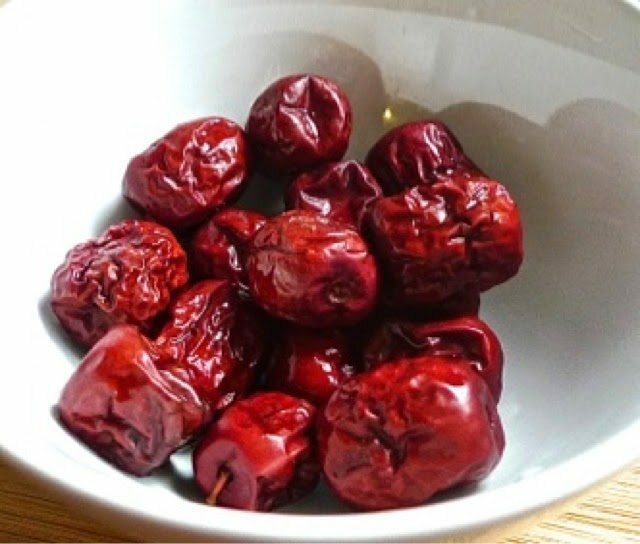 In a big soup pot, put in the blanched chicken pieces, red dates and water. Bring to a boil. Then lower heat and simmer about 40 minutes. Add in the soaked Wolfberries just before heat is turned off. Add salt to taste. Keep warm until ready to serve. Best to keep warm a few hours before serving. 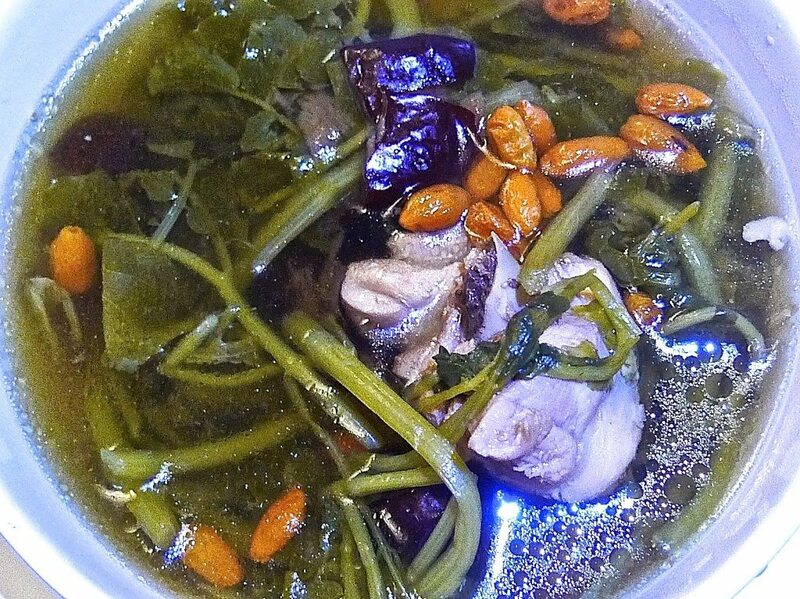 Alternatively, the watercress soup can be boiled in a pressure cooker. Blanch the chicken pieces in boiling water for a few minutes. Boil 2 litres of water in a pressure cooker. Then add the chicken pieces, red dates and watercress. Add salt to taste. Cover the pot rightly. 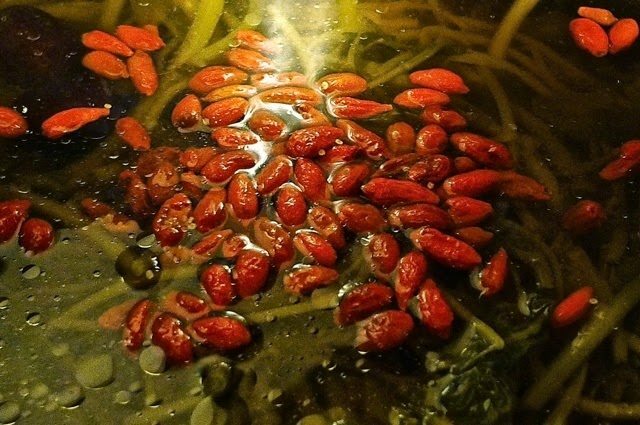 Put on high heat and cook until the pressure cooker sounds. Reduce heat to low and continue to cook for another 15 minutes. Off the heat after 15 minutes and wait for pressure to be released. Then add in the wolfberries and keep warm before serving.